GL Communications Inc. a leader in providing PC-based test, analysis and simulation products and consulting services to the worldwide telecommunications industry, conveyed today the availability of its product MAPS Megaco Protocol Emulator Scripted MEGACO Protocol Emulation. Speaking to media persons, Mr. Jagdish Vadalia Senior Manager said, The Media Gateway Control Protocol (Megaco) is a signaling and call control protocol used between the Media Gateway Controller (MGC) and Media Gateway (MG). MAPS-MEGACO protocol operates on two basic constructs called Terminations - media connections and Contexts - associations between terminations which can be added or deleted. He added, GLs Message Automation & Protocol Simulation (MAPS Megaco) is an advanced protocol simulator/tester traffic generator designed for Megaco testing, which can simulate MGC to test Media Gateways with various types of calls. It can also control scenario involved in Media conversion. This test tool can also be used to perform protocol conformance testing (Megaco protocol implementations) as per ETSI TS 102 374-2 standards. Mr. Vadalia further added, The MAPS MEGACO Conformance test tool is designed with 200+ test cases, as per Megaco specification of ETSI TS 102 374-2 document. Test suite includes in-built scripts which tests the functionality of the Media Gateway for Megaco protocol valid and in-valid behavior. The Metropolitan Technology Services Group LLC (MetroTech) announced today that it has named Blaine Berrien Business Development Manager of its Media and Entertainment practice. Blaine will be responsible for business development and selection of the products and services offered through the Media and Entertainment practice. Filling this position will enable MetroTech to move forward with its strategy of developing a practice to offer products and services to the Media and Entertainment industry as well as marketing, media, communications, graphics and IT departments within traditional corporations said Diane Dunn, CFO. Blaines previous involvement in project management combined with his background in both sales and graphics design provides the skills and experience that we believe will enable Blaine as Business Development Manager to successfully develop and lead MetroTechs Media and Entertainment practice said Dunn. Before joining MetroTech, Blaine was Director of Business Development at Liman Inc. and held Project Management roles at both Novartis and Janssen Pharmaceuticals. Blaine received his Bachelor of Fine Arts degree in Computer Graphics from William Patterson University. MetroTech seeks to understand the strategic goals of its customers and as well as the specific challenges faced by its customers IT executives. MetroTechs highly trained sales and technical teams combine the right people, partners, technologies and methodologies to deliver IT solutions that are relevant to its customers and address the current economic conditions. MetroTechs comprehensive offerings make it a solid partner for its clients IT needs. 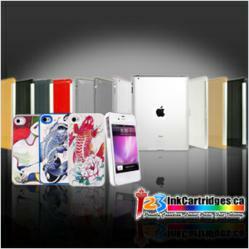 123inkcartridges.ca, an online printer supplier has announced that it will be adding Apple iPad cases to its line of products. The decision to add iPad cases to its line of products has been informed by the need to adequately meet and conclusively exceed the expectations of customers from around the globe. The iPad cases are manufactured with the latest technology and will be availed to customers at discounted rates that customers who buy products from the company are accustomed to .The Company is happy to announce the addition of quality iPad cases to their expanding line of products. 123inkcartridges.ca continues to an industry leader in the provision of a wide variety of computer and printer accessories. The computer and printer accessories can be accessed online by customers by simply logging into their website. Customers can get order form by visiting the companys online store which is then mailed to various company branches in Canada and the United States. The addition of the Apple iPad cases has been informed by the tremendous growth that the company has been experiencing in recently. There are various company facilities strewn in Canada and the United States that store a variety of products. These facilities have made it easy for quick shipping and timely delivery of products throughout Canada and the United states. 123inkcatridges.ca understands the importance of customer satisfaction and has as such been working around the clock to ensure that the needs and expectations of customers are met. The company has enlisted the services of highly trained staff who offer 24/7 customer support to a wide variety of customers. The idea is to ensure that customers get an experience of a lifetime and that all their needs are met. The policy of quality and affordable pricing continue to shed the image of the company in positive light and this probably explains why the company has ventured into the provision of quality Apple products to meet the rising demand of tech savvy individuals. Clients can check through and make orders of the products that excite them by visiting the site http://www.123inkcartridges.ca/accessories/iPad-cases.html. Highly trained professional staffs are available 24/7 to help customers in making an informed choice. 123inkcartridges is a growing company that offers quality and affordable computer and printer accessories. The company started out by offering quality toner printer ink cartridges. Over the years, they have experienced tremendous growth and have as such embarked on an expansion program in an attempt to meet the ever growing needs of their customers. They now offer a variety of products and services to customers all over the globe. Their two main offices are in Canada and also boast of a number of facilities which are meant to meet the ever growing demand of customers. Affiliate programs, although a dime a dozen in a culture governed by internet usage and social media, need to remain current and on the very cutting edge of technology to ensure that products are appealing to marketers as well as the end consumer, and that programs are not just carbon copies of pre-existing, saturated campaigns. Although QR codes have typically been associated with offline marketing, AdMobix has recently implemented this method into classic web marketing. This ensures that mobile marketers can monetize all users, and so that desktop marketers can test the waters of mobile marketing without leaping straight into the lions den. Offline marketing has been previously discounted by advertisers, as tracking the source and method of promotion is far less straightforward, and an e-trail is not readily available. AdMobix, however, guarantees that the advertiser need not relinquish control over a particular campaign as a result of introducing the QR code into the equation. If anything, this additional step and capability allow the agency to qualify the user based on factors beyond just their web credentials. The process is astoundingly simple. The user clicks on the provided banner or link, and the offer landing page presents a banner of the campaign - this reassures the user that they are completing the correct offer, and reinforces the nature of the offer they will be scanning. 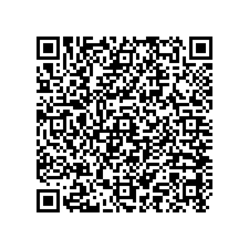 Below, a QR code can be found, at which point, the user may pull out a readily available mobile device. Upon scanning the QR code on their desktop, the screen redirects to the offers mobile optimized landing page. The offer is now conveniently available for completion via that mobile device, and the end user has now visited the campaign both via a web page and a mobile page. This allows the affiliate marketer to evaluate the number of users that visit a given Web 2 WAP offer that also use mobile devices, and consider mobile marketing as a subsequent next step in their online marketing endeavours. For those consumers that might not have a QR code scanner available on the device, fear not. AdCommunal has not forsaken these users. The landing page includes a link to a proprietary QR code scanner, which allows the user to download a free scanner for Android, iPhone, Blackberry,or Symbian devices. A number of the companys recent changes including the Mobile Redirect Tool and Carrier/Phone Detection capability - are reflective of an ongoing quest to stay avant-garde and ahead of the tech curve. Says VP of New Business Initiatives, Neil Raj, AdMobixs tracking platform is a proprietary one, which gives us the liberty to try out all types of campaigns, and recalibrate campaigns based on what consumers want, and what theyre more likely to be interested in. AdCommunal Inc. is a performance-based online marketing provider for advertisers, publishers and online affiliates in the United States, Canada and the UK. The company hosts one of the most progressive affiliate programs in the industry, providing some of the greatest return on investment for advertisers and highest payouts for publishers, with access to ad placements on various websites, blogs and social media sites such as Facebook and Twitter, all on a performance basis. With various gratuities and tools to expedite the learning curve for advertisers and publishers alike, AdCommunal is truly a one-stop shop for online connoisseurs. AdCanadian, (a Canadian affiliate network), AdMobix (a mobile affiliate network) and AdIndian (an Indian affiliate network)- AdCommunal's subsidiaries - provide the user with a sampling of different campaigns and diverse array of traffic sources, and ensure that the end-user's overall experience is a truly enjoyable one. GL Communications Inc. a leader in providing PC-based test, analysis and simulation products and consulting services to the worldwide telecommunications industry, conveyed today the availability of its product MAPS SIP Protocol Emulator Scripted SIP Protocol Emulation and SIP Conformance Suite tool. Speaking to media persons, Mr. Jagdish Vadalia Senior Manager said, GL's Message Automation & Protocol Simulation (MAPS) designed for SIP testing can simulate User Agents (User Agent Client- UAC, User Agent Server-UAS), Proxy, Redirect, Registrar and Registrant servers. This test tool/traffic generator can be used to simulate any interface in a SIP network and perform protocol conformance testing (SIP protocol implementations). He added, The MAPS SIP Conformance Suite tool is designed with 300+ test cases, as per SIP specification of ETSI TS 102-027-2 v4.1.1 (2006-07) standard. Test cases include general messaging and call flow scenarios for multimedia call session setup and control over IP networks. Logging and pass/fail results are also reported. Test cases verify conformance of actions such as registration, call control, proxies and redirect servers. 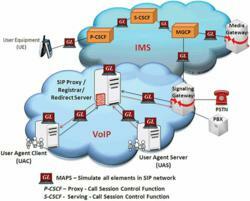 The application gives the users the unlimited ability to edit SIP messages and control scenarios (message sequences). "Message sequences" are generated through scripts. "Messages" are created using message templates. He further added, MAPS can be used to simulate any interface of the VoIP network. A single MAPS can act as more than one SIP entity at a time and can generate any SIP message on wire in VoIP network and hence equipments needed to test are reduced. You really do learn everything from concept to consumer, and working with a mentor really puts what you are learning into practice, explains Bernadette Lansing, a recent graduate of the IMPD Program. I designed bottoms and outerwear for the Cherokee Tween Girl, ages 5-14. Some of my pieces included denim jeans, corduroy pants, cable knit capes, and jean jackets. 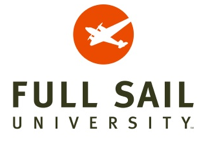 Their studies took the talented group around the globe, to Paris, Milan, and Hong Kong, where they learned about importing and exporting, international merchandising, global marketing, international sourcing, and production. I learned more about manufacturers and was able to contact suppliers in China and negotiate prices, while in Los Angeles, adds new graduate Nicole Guerboian. Our goal was to provide a challenging, yet supportive environment, says Cherokee President & COO Howard Siegel. The students did a great job. Their presentations were sensational, exceeding all expectations. This program is world class. The unforgettable experience concluded with a final presentation in front of more than 350 people, including industry professionals, FIDM Faculty, family, and friends. The Society of Manufacturing Engineers (SME) RAPID 2012 Conference and Exposition held May 22-25 in Atlanta, attracted students and professionals from 24 countries interested in 3D imaging and additive manufacturing technologies. The event provided real-world examples of how additive manufacturing is revolutionizing the way new products are designed, prototyped and produced, offering manufacturers advantages in terms of creativity, manufacturability, cost-savings and time-to-market. The robust program offered plenary sessions with keynote speakers Paul Doe (Prodrive Motorsport Ltd.) and Terry Wohlers (Wohlers Associates), and fundamental workshops lead by Graham Tromans (G P Tromans Associates), Giles Gaskell (Wenzel America Ltd) and Brent Stucker (University of Louisville). The program offered two full-days of 3D imaging and additive manufacturing conference sessions and workshops with presentations from more than 60 technical papers about 3D imaging, medical and dental industry, transportation industry, final part production, additive manufacturing applications, rapid technologies, metal casting, creative and innovative uses of rapid technologies, and direct write printed materials for electronics. The event revealed that 3D printing is not only cool, hip and hot among makers and mainstream media, additive manufacturing technologies are gaining in popularity and acceptance among the worlds leading manufacturers and engineering professionals seeking ground-breaking ways to bring new products and ideas to market. I attended RAPID Conference and Exposition to learn more about advanced uses of 3D imaging and additive manufacturing technologies and found the event inspiring and educational in terms of presentations and exhibits. I attended many of the available seminars and took away a great deal of insight from the industrys veterans, said first time RAPID attendee and PartSnap professional engineer Michael Moussa. I would say this conference is extremely valuable to any newcomer to the industry and I look forward to learning more next year and to seeing how the technology continues to develop. On the RAPID show floor, an Exhibitor Innovation award was presented to 3D printer OEM Mcor Technologies. The company was recognized for its Matrix and Iris product lines, and for displaying technology innovation to improve business operations and manufacturing. Mcors mission is to bring eco-friendly 3D printing to the masses and to make it easy as printing on paper. The entries were judged by members of the SME Rapid Technologies & Additive Manufacturing (RTAM) community. A Best in Show award was presented to the Ex One Company, and designated by popular vote. ExOne has decades of manufacturing experience and over $ 50 million dollars invested in research and product development to pioneer the evolution of nontraditional manufacturing. This investment has yielded a new generation of rapid production technology in the field of additive manufacturing as well as advanced micromachining processes. Redpoint Design Direction, a custom web design studio based in Midland, MI, will be honored at the star-studded, live online broadcast of The Webby Awards from New York Citys Hammerstein Ballroom on MAY 21, 2012, at webbyawards.com at 5:30PM EST. Hailed as the Internets highest honor by The New York Times, The Webby Awards is the leading international award honoring excellence on the Internet, including websites, interactive advertising & media, online film & video, and mobile & apps. The 16th Annual Webby Awards received nearly 10,000 entries from all 50 states and over 60 countries worldwide. The Webby Awards honors the very best of the Internet, said David-Michel Davies, Executive Director of the Webby Awards. Redpoint Designs achievement is a testament to the skill, ingenuity and vision of its creators. "We are excited to receive this award because it affirms the quality of work we strive to produce for all of our clients, regardless of their business model, says co-owner Lynne Most. Our goal is to conceive and develop relevant target-specific design solutions using smart strategies that clearly communicate our clients message. 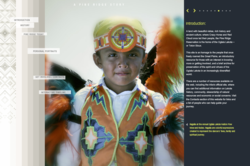 The Pine Ridge Story is an advocacy website for the Oglala Sioux Tribe of the Pine Ridge Indian Reservation in South Dakota. The site educates viewers in a concise pictorial format about the historical, social, health and economic challenges of the 3rd poorest county per capita in the United States, and directs them accordingly. Redpoint Design Direction, LLC, is a graphic design and web development studio based in Midland, MI, with over 30 years experience in advertising and design. The companys expertise ranges from identity development to advertising and marketing to multi-media and web development. The Webby Awards is presented by the International Academy of Digital Arts and Sciences, a 750-person judging academy whose newest members include CEO of Skype, Tony Bates, shft.com co-founder Adrian Grenier, and co-founder of Instagram Kevin Systrom, as well as director Darren Aronofsky, Huffington Post Media Group President Arianna Huffington, Twitter co-founder Biz Stone, musician David Bowie, Internet co-creator Vint Cerf, Virgin Group Chairman Richard Branson, and R/GA Chairman and CEO Bob Greenberg. Sponsors and Partners of The Webby Awards include: AOL, Aquent, Yahoo!, Microsoft, Ford, Dentyne, Facebook, MLB Advanced Media, Rackspace Hosting, LBi, Buddy Media, YouTube, HP, USA Today, Business Insider, 2advanced.Net, PricewaterhouseCoopers, Time Out New York and Guardian News and Media. Introducing The Pong Triangle. 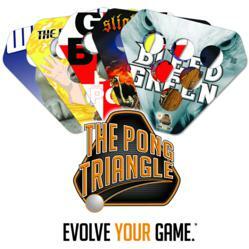 The Pong Triangle is a unique racking system that helps organize and speed up pong games. Place cups in the rack holes and lift the rack at any time to straighten and re-rack the cups. Each set includes two triangles with full 4-color graphics. Original set designs or customized images are available. Visit http://www.thepongtriangle.com for more information.